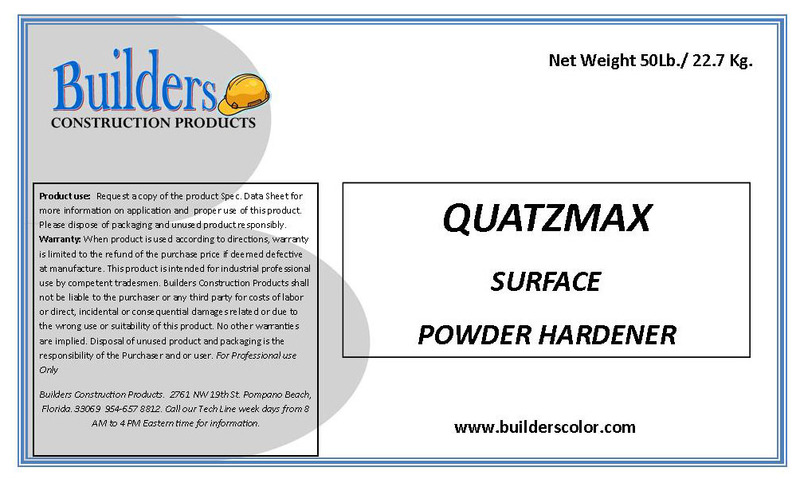 Shake-on powder used to strengthen concrete flatwork surfaces by the use of harder Silica Quartz aggregates used in this product. Surfaces will exibit higher abrassion resistance and density. Shake-on powder. 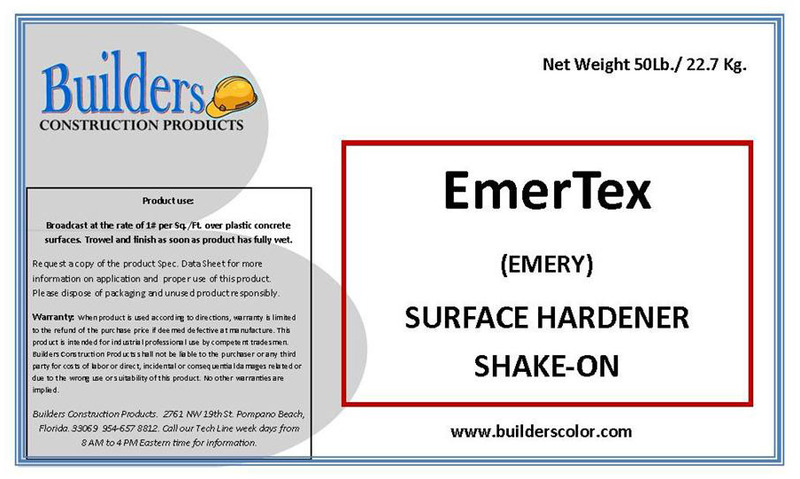 Made with Emery aggregate for industrial floors to resist impacts by tools and equipment. Higher abrasion resistance mean higher durability in severe industrial applications. 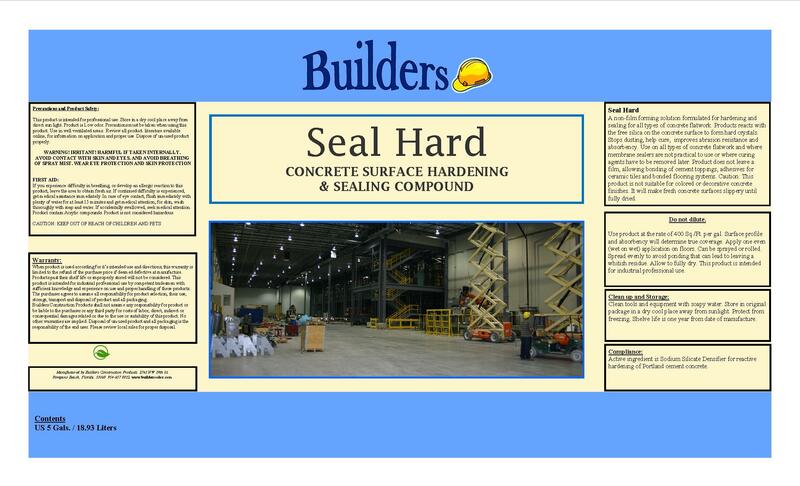 Sodium Silicate liquid hardener to harden and dustproof flatwork. It will help cure and seal where membrane products are impractical to use. It will not prevent the bond of thinsets and other cement based glues. Lithium based liquid hardener used for flat surfaces to seal the pores by reacting with the free limes present in Portland cement. Unlike other products, it does not need to be neutralized or is hazzardous. 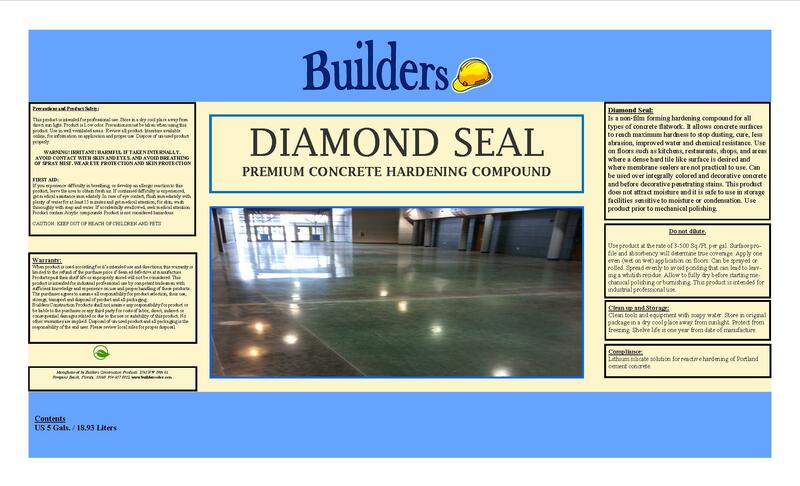 Can be safely used in decorative color concrete without staining. 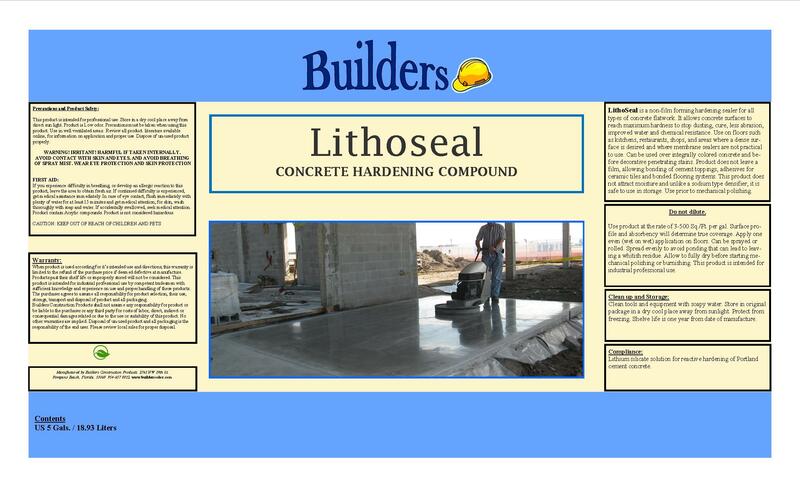 Higher solids Lithium based liquid hardener used for flat surfaces to seal the pores by reacting with the free limes present in Portland cement. Unlike other products, it does not need to be neutralized or is hazzardous. Used prior to mechanical concrete polishing. Can be safely used in decorative color concrete without staining.